How do you get rid of your medication? Do you flush it down the toilet or down the drain? There are studies that continue to show trace amounts of pharmaceuticals in drinking water supplies across our country. In addition, while wastewater treatment facilities are very effective at removing solids and harmful bacteria, they are not designed to filter pharmaceutical chemicals. 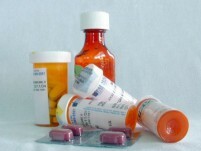 Medicines that are flushed down the drain or that leach from landfills end up in our waterways. According to the most recent report from the President’s Cancer Panel, “Pharmaceuticals have become significant water pollutant nationwide.” Researcher are finding evidence that even extremely diluted concentrations of pharmaceutical residues harm frogs, fish and other water species in the wild and impair the workings of human cells in the laboratory. Even in the tiniest amounts of medicine can harm aquatic life, for example antidepressants have been shown to disrupt fish reproductive cycle. Abuse, mostly by teenagers and young adults, of prescription medications commonly found in homes is also an rising issue. Removing unwanted and expired medications from the home helps to eliminate this abuse. Middlesex Police Department now has a Drug Disposal Drop Box. This is a great opportunity for those who missed the previous events, or who have accumulated unwanted unused prescription drugs, to safety dispose of those medications. The prescription drug disposal drop box is a secure and convenient way to dispose of leftover or out of date prescription medicines. The drop box is located in the police department lobby and is available during normal business hours, Monday-Friday from 8:00 am to 4:00 pm. For additional information and questions call the Middlesex Police Department during normal business hours at 249-7191.